Welcome to another Becoming A Modern Man! The deck is often called Tribal Zoo or perhaps less confusingly Domain Zoo (as there is no tribe just Tribal Flames). It has been a while since I have played with Tribal Flames . It was actually back when Deathrite Shaman was still in the format that I played a similar Zoo style deck. It's an extremely powerful burn spell and one that can quickly finish off opponents with the right support. 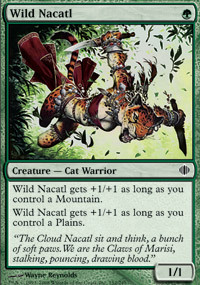 Wild Nacatl is a creature once thought so powerful that it was banned in the format. 1-mana 3/3s are pretty great as things go and it works perfectly with our greedy dual-heavy manabase. 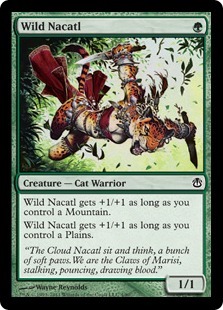 Nacatl is our best one-drop. Kird Ape is the original Wild Nacatl and is a powerful 2/3 for one-mana so long as we control a Forest. 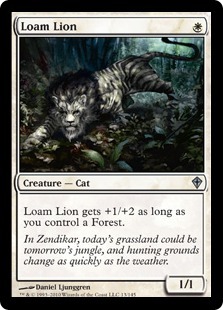 Loam Lion is the same card but colour-shifted into white. Both round out our suite of overpowered one-drops. The bruiser and one of the most powerful 2-drops of all time. Goyf is here to smash faces with his over-sized frame. 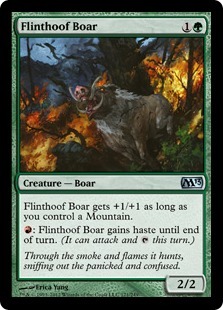 There are other budget options in this role such as Flinthoof Boar but I don't think anything does quite as good a job as Goyf. 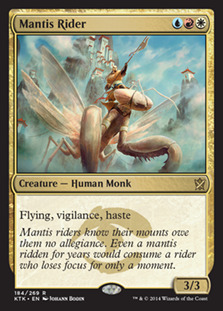 Mantis Rider is probably the card I was least happy with in the deck. It is a good aggressive card but it is certainly on the greedy side. 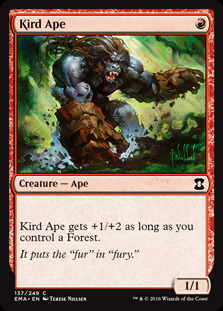 The deck needs a Forest for pumping up Loam Lion , Kird Ape and casting Wild Nacatl while Rider needs none of those colours. It is a great hit off a Bloodbraid Elf but it has also got stuck in my hand more than a few times. 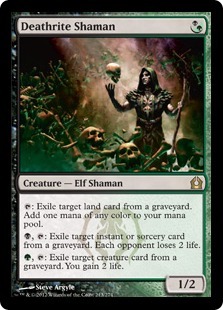 Bloodbraid Elf has return from exile and lots of players are trying to find new shells for the powerful creature. Much like a box of chocolates, you never know what you are going to get with Bloodbraid Elf but realistically all the options are pretty great as all our cards are pretty overpowered for their mana cost. Hitting any of our creatures establishes a pretty healthy board presence and our burn spells go to the dome and quicken our clock. The dream is to hit a Mantis Rider and to instantly be attacking for 6. 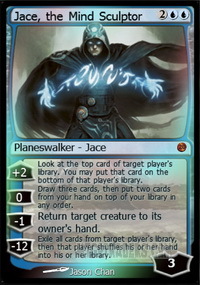 Bloodbraid Elf is very powerful against Control decks, and the various Jace, the Mind Sculptor builds you are likely to run into at the moment. As Bloodbraid Elf is effectively two spells in one it is hard to respond effectively with countermagic and effectively your opponent needs two answers to just one card, which is great value for us. 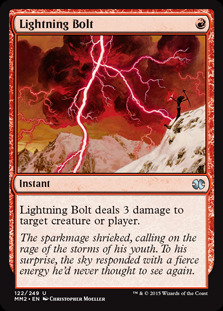 Bolt helps us clear the path for our creatures or goes straight to the dome to kill off our opponent. 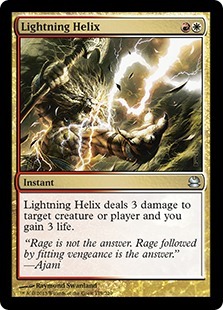 Lightning Helix is another classic burn spell and the life gain helps offset the pain taken from our multiple fetchlands and Ravnica duals. 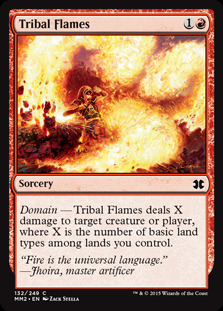 Tribal Flames is an extremely powerful burn spell. Once we have all five land types on the battlefield it deals 5 damage to target creature or player for just two mana. Wiping out a quarter of your opponent's starting life with one card is insanely powerful. 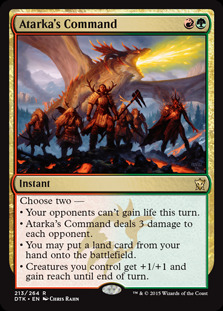 You won't always have all five land types on the battlefield but it is very easy to get to four which is stil a substantial rate. Also, it's good to remember that Tribal Flames can also be a Roast if the occasion calls for it. That means you can use it to clear out Gurmag Angler s, Hollow One s and Tarmogoyf s.
Boros Charm rounds out the burn suite of the deck. 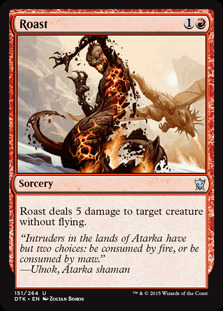 It's questionable whether or not this should be Atarka's Command rather than Boros Charm given the nature of the deck but arguments can be made either way. 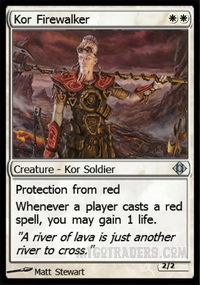 Boros Charm can save creatures from removal and does 4 damage straight to the dome rather than the 3 from Atarka's Command. However, the pump from Command is pretty valuable and is also capable of protecting creatures from damage-based removal. I would certainly like to test Command. Our manabase is pretty interesting. 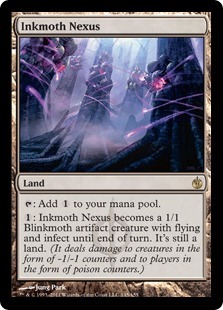 We have 12 fetchlands and 8 Ravnica duals covering all five land types. The sequencing and choices of which lands to fetch can be tricky and can be one of the more difficult parts of playing the deck. 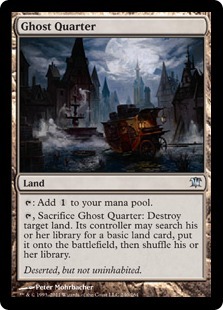 As I mention in the videos it is fairly easy for our opponents to disrupt our mana with commonly played cards such as Ghost Quarter and Field of Ruin so you do need to be careful. 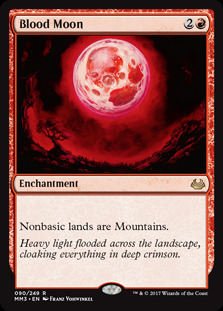 I would quite like to find room for a basic mountain in the list as, although having basic forest and basic plains fight Blood Moon if the opponent can see us off red mana we are in much bigger trouble. The other thing to be wary of is that fetching and playing so many duals does put a burden on our life total. 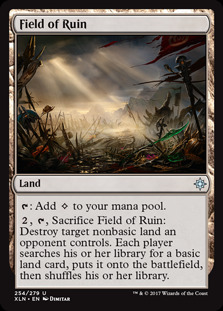 The deck is not completely suicidal but you will take a hefty amount of damage from your lands each game. Lingering Souls is a great tool out of the sideboard. It uses our full array of colours nicely and also gives us something to fly over board stalls and a resilient threat against decks that are heavy on one-for-one removal. Lingering Souls is a card that is hard to answer and adds some extra reach to the deck. 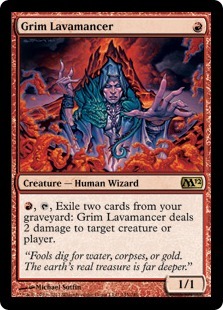 Grim Lavamancer is a great card for clearing out smaller threats and blockers. It also adds to our burn suite, helping us win games where the board is likely to stall. Thoughtseize is an interesting card for the sideboard as the main deck actually has no use for black mana other than to reach Domain. Thoughtseize certainly has its uses but I feel like a full 4 copies in the sideboard might be excessive. Thoughtseize is primarily for use against Combo decks. 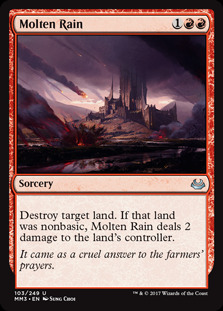 Molten Rain can disrupt land-based strategies or kill off creaturelands like Inkmoth Nexus . That said the card feels a bit clunky in the deck - particularly with the double red requirement in our Domain deck. 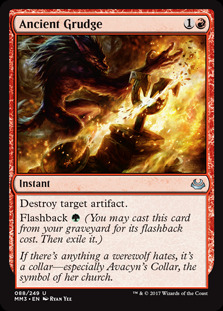 Ancient Grudge is an excellent artifact destruction spell that can handle a lot of problem artifacts and is also great against Affinity. Overall I felt the sideboard could use some tweaking. There is certainly a whole array of options available to the deck but we need to be careful not to impugn the aggressive nature of the deck. Our first matchup is against Grixis Control. This matchup felt good. We have a lot of early pressure and it is difficult for them to answer that with one-for-one answers. Also, as I have mentioned, countermagic is not an effective answer to Bloodbraid Elf . I like bringing in Lingering Souls against Control as it is resilient to countermagic and also gives us something to use in the event of a board wipe. Our second matchup is against Amulet Combo. I've had quite a few entertaining matches against Amulet with some previous decks but the replays always glitched but that issue seems to have been resolved. This is quite an interesting matchup as our speedy beats are effective but they have an extremely powerful end game which is tricky to compete against if they can put it together in time. We don't really have a lot of ways to interact with what they are doing but we do have Ancient Grudge after sideboarding and maybe the Thoughtseize s should come in too here. Our third matchup is against UW Control. Again, I feel that Control really is a good matchup for us and UW does not seem much different. 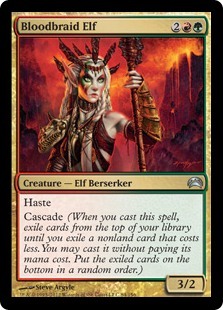 They are more likely to have mass removal in the form of Supreme Verdict which is something to be aware of but Bloodbraid Elf is a great recovery to such a cataclysm. Again, I like Lingering Souls out of the sideboard for Control matchups. This is an example of one of our weaker matchups. Decks like Elves that can absorb the pressure of our early creatures and jam up the board are very difficult to deal with. It's not a completely lost cause as our burn spells give us some reach and can kill off key creatures but it's a very challenging matchup. Our next matchup is against a rival Zoo. 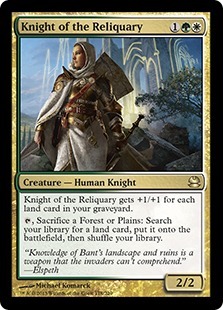 Our opponent was running a Naya Zoo deck which played some bigger top end threats such as Knight of the Reliquary . As it played out our more aggressive deck was pretty successful and our burn spells as removal or to give us reach work really well. 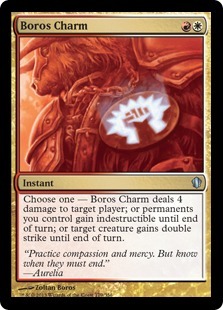 It's arguable whether this should be in the Boros Charm slot or maybe taking even more slots. The +1/+1 ability can grow our already sizable creatures for additional points of damage and the card already does 3 to the dome. 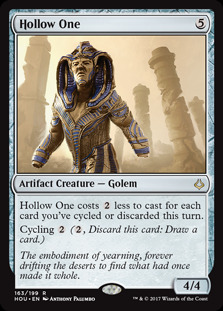 The other modes also have the potential to be relevant in different circumstances and I think this is a card really worth considering for the deck. There are some cases where Command is worse than Boros Charm , such as if the board has been wiped or if the opponent casts a Wrath effect but I would certainly look at testing Command. 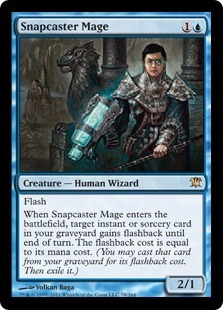 Inspired by my past escapades with Tribal Flames , the deck could realistically run Snapcaster Mage . 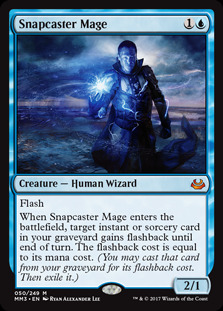 Snapcaster Mage is insane with Tribal Flames as a pair of Tribal Flames can represent 10 damage to the dome. 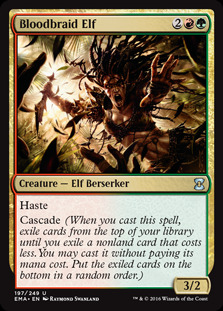 The downside of course is that it's not a great creature to hit off of Bloodbraid Elf . I mentioned in the videos that the deck struggles against decks that can flood the board. 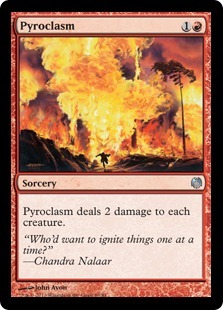 Pyroclasm could be a good sideboard card for that reason, particularly as the majority of our creatures have 3+ toughness. 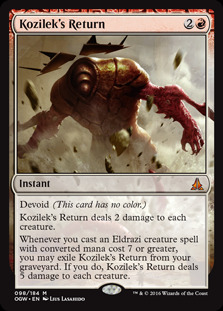 Kozilek's Return is also an option if we are running into Kor Firewalker s and the like. The deck is very aggressive and can steamroll some decks pretty easily. 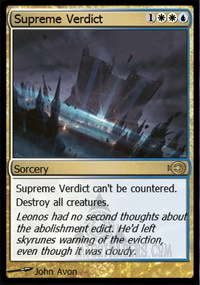 The burn suite gives the deck reach when creature beats have failed or the opponent has otherwise stabilised the board. The deck matches up well against Control decks and Bloodbraid Elf really shines in those matchups. The complex manabase causes you to lose a lot of life. Greedy manabase can lead to cards getting stuck in your hand. The manabase is vulnerable to cards like Blood Moon , Ghost Quarter and Field of Ruin which can disrupt our ability to obtain Domain and make some spells tricky to cast. The deck is weak to creature-heavy decks that can fill the board and dissipate our early beatdown. I would certainly recommend giving this deck a go and maybe trying out some variants too. The deck is a lot of fun and pretty competitive but there are probably better aggro options out there. The deck is pretty close to Burn/Red Deck Wins and its questionable whether it is really better than that deck.